"With great competence and a sure hand, [Ameringer] synthesizes the scholarship on the Legion that has appeared since The Democratic Left in Exile, and he adds some new material based on the skillful use of United States documents." "This scholarly, well-written little book gives the Caribbean Legion the treatment it deserves. While the author has no illusions about the purity of the politicians behind the Legion, or about the motivation or competence of the soldiers of fortune it employed, he duly recognizes the democratic idealism that inspired it, and the dedication and sacrifice of the Caribbean patriots who donned its uniform." "Professor Ameringer should be commended for such an exhaustively researched and provocative work. 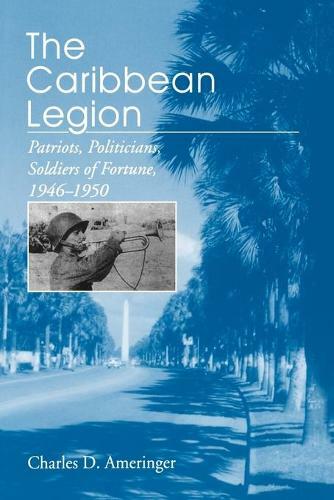 The book serves as a useful tool in interpreting post-World War II American diplomatic policy in the Caribbean and Central America, and is of inestimable value for those interested in the Caribbean Legion."